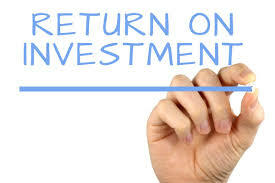 How can you quantify the ROI of your data governance investment? I am often asked for help in quantifying the value of data governance. This can be difficult to do! As the prominence of data as a business enabler becomes more obvious, more businesses are investing in data management – typically advanced analytics capabilities – such as the lates drive towards machine learning and artificial intelligence. For advanced analytics to deliver value knowledge workers must be able to find and understand their data, in order to build trust. Not easy to do in a large modern organisation. While data stewardship, and enabling technologies such as Collibra’s Data Governance Center provide the foundation for the delivery of effective analytics, quantifying the value can be challenging. This is why Collibra;s recent announcement of a data governance ROI calculator, developed in partnership with the IDC, is exciting. A Collibra blog post introduces the ROI calculator, along an IDC whitepaper – Quantify the Business Value of the Collibra Data Governance and Catalog platform – which explores the value and benefits Collibra customers are achieving using Collibra. These include a 510% three-year ROI, a seven month pay back period, and nearly $19 million higher gross revenues per year. October 2, 2018 in Data Quality. ← Are you up to date with GDPR?